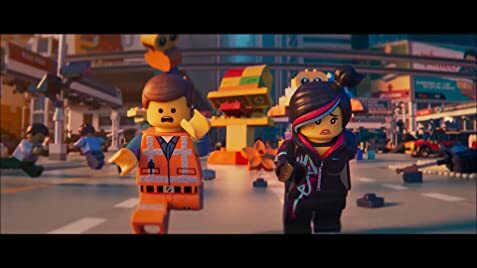 THE LEGO MOVIE 2’s story in the human world starts after the events of the first film made in 2014, just as Finn’s toddler sister Bianca starts to play with Duplo blocks and tries to take over Bricksburg. Bianca has grown up. In the intervening years, Bianca has taken more of the Lego sets into her own room to incorporate into her own creations causing Finn to get angry with her when he discovers this. Meanwhile in the Lego story, the Duplo invaders have turned Bricksburg into a post-apocalyptic wasteland named Apocalypseburg, and continue to invade periodically. 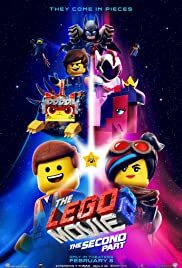 On one occasion, Master Builder Emmet Brickowski (Chris Pratt) attempts to broker peace between the citizens and the aliens with a Lego heart, to no avail. The ordeal has made most of Apocalypseburg’s citizens hardened, but Emmet remains upbeat, wanting to move into a dream home with Lucy (Elizabeth Banks). However, Emmet is troubled by dreams of a pending “Our-mom-ageddon”.